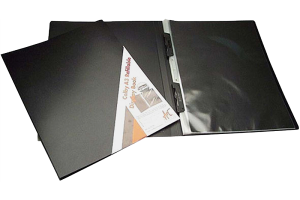 High quality display books and easel display books made from archival quality copy safe and acid free polypropylene available in A2, A3 and A4 sizes. 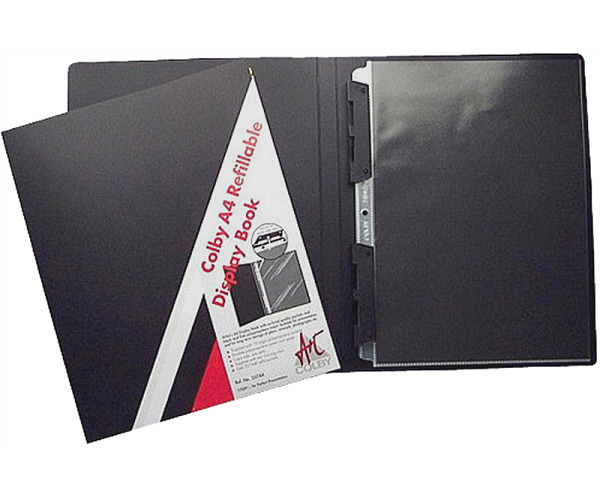 Premium quality copy safe 10 pocket A2 refillable display book with snap clip fittings. 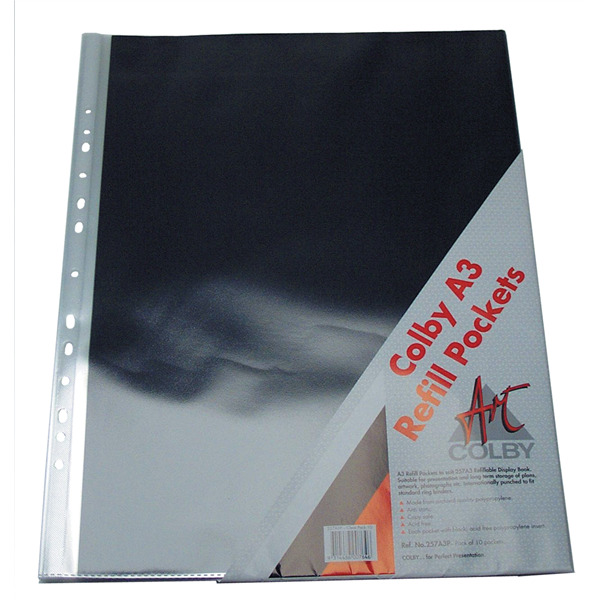 Supplied with 10 pockets, each with black acid free insert paper. Refillable (with code 257A2P for pockets) up to capacity of 20 pockets. Premium quality copy safe 20 pocket A3 refillable display book with snap clip fittings. 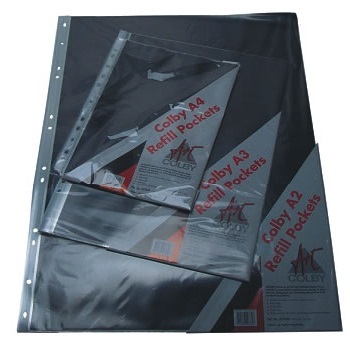 Supplied with 20 pockets, each with black acid free insert paper. Refillable (with code 257A3P for pockets) up to capacity of 20 pockets. Premium quality copy safe 10 pocket A4 refillable display book with snap clip fittings. 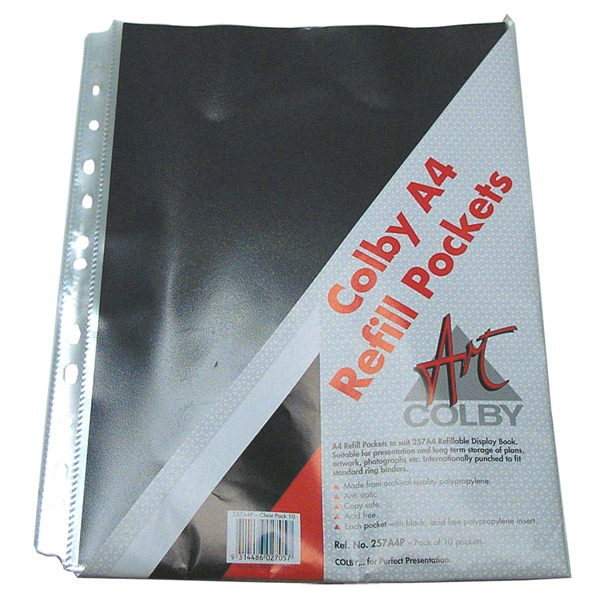 Refillable (with code 257A4P for pockets) up to capacity of 10 pockets. 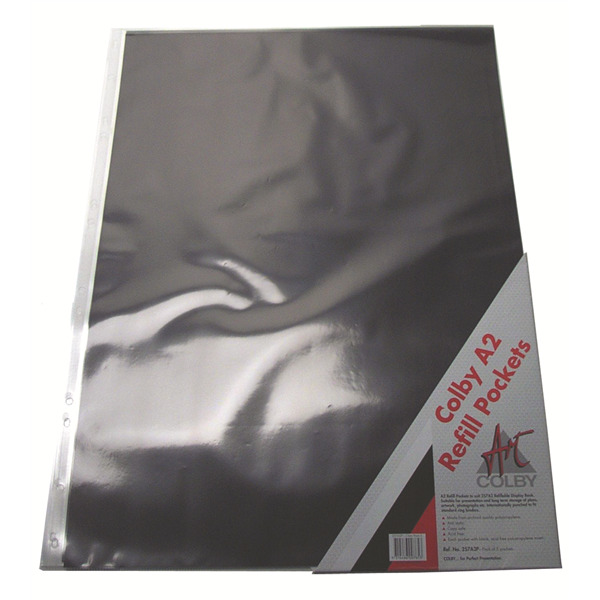 Premium quality, copy safe reinforced refills for Colby Art 257 series refillable display books. 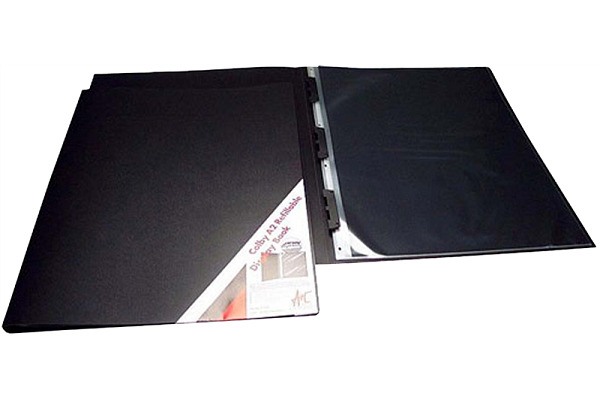 Each pocket supplied with black acid free insert paper. Pockets have reinforced spine and are ultrasonically welded for greater strength. 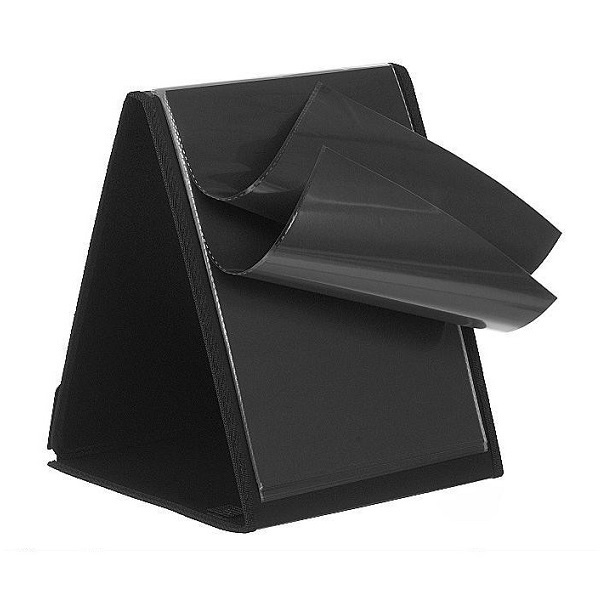 Premium quality copy safe 20 pocket A4 portrait easel display easel with business card window. Portrait A4 format with 20 fixed pockets, each with black acid free insert paper.